Spring Open House Season is in full swing. I had over 60 parties through my open house on 1349 Norton this past weekend and Realtors all over town report similar crowds of eager home buyers. “You listed this as a three bedroom home. Where is the third bedroom?”. This question is asked in a house full of furniture, personal photographs on the wall and a loaf of bread on the counter. The open house attendee is trying to find out how much negotiating room there is. Good idea- but this has to be one of the very worst ways to find out. What the homeowner paid ten years ago has nothing to do with what the market might produce for the homeowner today. Right. Then, what should I do? Today’s market offers very few good homes for sale. Asking the right questions at open house could make a huge difference in successfully buying the best house today or looking for the rest of your God Given Weekends. Let’s take a look at some of the very best questions you could ask a Realtor at open house. 1. Why has the seller decided to sell now? This is a variation on, “How motivated is the seller?”. I like this question because it will take the Realtor by surprise and is much more likely to get an complete answer. The Realtor will almost always answer the “how motivated” question with a “very motivated” answer because they want to hook you in. However, asking “Why” will give you far more insight into what the seller really needs and it might also tell you how urgent the sale is. 2. Have you had any offers? 3. How long have you been at this price? I have never been asked this question and I think it is a fantastic one. A home that has been at a price for a long time might be ripe for a low offer. A home that has been on the market for a long time, but just reduced the price significantly might be a steal overlooked by others. 4. What are the comparable sales? Theoretically the Realtor has intimate knowledge of the recent sales in the area and how they compare to the home you are viewing. Asking about these sales will tell you a lot about the seller’s negotiating strategy. Did they price high, low or right at recent comparable sales? As a bonus, you will find out a lot about the Realtor answering the question. If you are shopping for a Realtor to represent you, the ability to answer (or not) will tell you a lot about their expertise. 5. Beside price, is there anything else important to the seller? Let’s not kid ourselves, price is almost always the most important factor to a seller. However, in a market where multiple offers are common, like today, other factors can make the difference between two similarly priced offers. It might be the length of escrow or the possession date. It might be the size of a down payment or a commonality of values. If this is a house you covet, you will want to know the answer to this question. 6. What will it take to buy this home? I know, I know. You are thinking, “If I ask this question, won’t I tip my hand to the Realtor? They will know I really want the home!” First of all, if you really DO want the home, it isn’t a bad idea to let the Realtor know. Our job isn’t to trick you into paying too much for the home. Our job is to facilitate a mutually beneficial deal. If you ask this question you are only indicating that you are a serious buyer. Nothing more. You might even find out that you could buy the home for a lower price than you are willing to pay. There you have it, the very best questions to ask at an open house. You are officially the best armed buyers in town. And, if you are curious, I am happy to answer any of those questions at my next open house. Bring it on. If you would like to see any of these homes, or, if you want me to keep an eye out for more homes with a guest house call me at 818-396-7588. As I look at the charts of our performance in La Canada real estate I am struck by how much of our market is driven by the school schedule. Sellers and buyers jump into the market right at the first of the year. Our savvy population understands that completing the move from house “A” to house “B” can take a few months, and it is mission critical to be in and settled by August. This year the predictable spring rise in inventory stopped early and suddenly at the end of May- typically this rise lasts until end of July. Home sales rose steadily until August and then fell sharply once school registration was over. The most disturbing number, though, is the sharp decline in new contracts in September. Only 6 homes entered escrow for the entire month. This will negatively impact the number of closed escrows 60 days from now. Our Months Supply of inventory has been rising since July and we are now at 5.1- solid Neutral Market. Average price per square foot reflects this with a flat trend line since May. This category did not even exist in La Canada 5 years ago, and now represents about 25% of the market. Inventory did NOT rise this spring has been falling steadily, all year. At the same time, sales have been steady resulting in the months supply of inventory that has fallen into solid Seller Market. Price trends are nearly impossible to comment on, however, because the average of just a few sales is meaningless. This is our “Bread and Butter” price range, with 42% of the homes currently listed as well as a majority of the sales falling in this category. 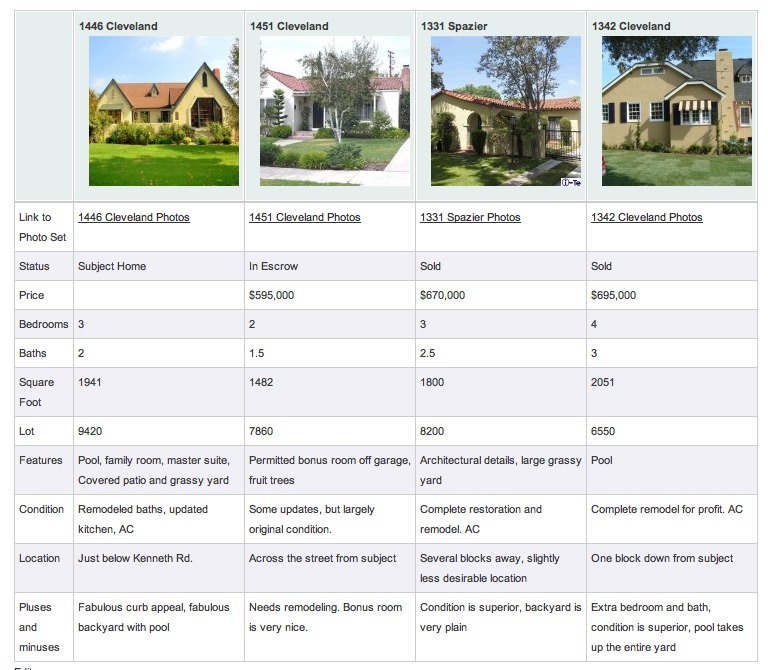 Because this is the majority of the market, trends predictably follow the overall La Canada market. Inventory rose until the end of spring; sales rose until the end of summer. In September, we saw a bump up in inventory and a sharp decline in closed escrows, landing us at 5.5 Months Supply of Inventory- a strong Neutral Market. Average price per square foot, however, has been bouncing all over the place with 7% decline from one year ago. Our upper end represents nearly 30% of our inventory, but only a small percentage of the sales. The good news is this dynamic is reflected through out Southern California. Even marquee areas like Newport and Beverly HIlls have an over supply of high end homes. La Canada represents a tremendous value over these marquee areas and with our world class schools, stunning natural beauty and close proximity to several major business centers. A few of these trophy homes have sold each month and the rate has been quite steady. It was late 2005 when it finally hit us: Our son, an 8th-grader at Wilson Middle School in Glendale, was fast approaching The High School Years. It just sort of snuck up on us. 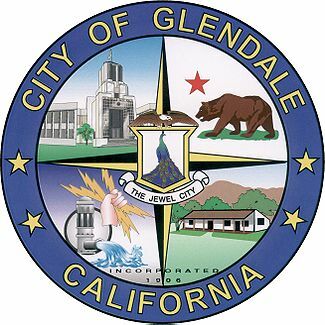 When we moved to Southern California from the Midwest in 1998, my wife and I chose to live in Glendale—Verdugo-Woodlands in particular—over the alternatives of Los Angeles and Pasadena because of the public schools. V-W Elementary is a special place, as everyone in that neighborhood knows. Wilson: pretty good, too. Then there is Glendale High. We were warned by friends and neighbors and Realtors that we might not want to send our kids there. But in 1998, our kids were 6 and 4, and high school was years away. We figured we’d deal with that then. Suddenly, it was then. Like a lot of parents we knew who were in the same boat, we started to panic. We had heard all the horror stories about GHS – the overcrowding, the low test scores, the kids from troubled homes, the gangs, the fights. So we did what many of our friends were doing: we started looking at private schools. We read the brochures, took the open house tours, and applied our son to Harvard-Westlake, Pasadena Poly and Flintridge Prep, among others. He was accepted to all three, and suddenly we were staring down the barrel of $20,000 a year in private school tuition, no matter which one we chose. That’s 80 grand for high school, even before we started thinking about paying for college. Not to mention the education of our daughter, just two years behind her brother. Some of our friends had chosen a third route: They moved to Montrose or La Crescenta to get their kids into C-V High School. For reasons too numerous to go into here, that was not a practical option for us. We were a two-income household, but working in newspapers and higher education, we could just barely afford to live in Verdugo-Woodlands, but probably not also send our kids to private school. Even with an offer of assistance from my Mom, we were facing a crushing financial burden. Then fate intervened. In the spring on 2006, I was offered a transfer by my employer to Washington, D.C. It seemed the perfect solution on so many levels: a dream job for me, a chance to return home to the East Coast and be near my family, and some of the best public schools in the nation for our kids. We settled in suburban Fairfax County, Virginia, and were amazed by the quality of the schools and the money invested in public education. (If California’s public schools were funded and operated like Fairfax County’s, Glendale would have five high schools, not three, with two new ones built in the last 20 years.) Yes, the property taxes were astronomical – no Proposition 13 in Virginia – but still a bargain compared to private school tuition. Bullet dodged. Then came The Crash of 2008. Long story short: we ended up back in Glendale, both unemployed, no money for private schools, and two teenagers insisting on being reunited with their V-W and Wilson friends at Glendale High. Despite some residual misgivings, we relented, with the proviso that they would take mostly AP and Honors classes and focus on college prep. My first impressions of GHS were not good. It was during our first Open House, in September 2008. With its windowless façade and high security fences with iron bars, the place looked like a penitentiary. Just getting on campus as a parent felt like visiting your kid in jail. Inside the gates, a sea of concrete and asphalt, it was not exactly clean. The physical plant was obviously stressed from overcrowding and underfunding. I made disparaging comments–which I now regret–about GHS in front of my kids, lamenting what we had left behind in Virginia. The AP and Honors classes were especially challenging. My kids were surprised how hard they had to work. Coming from Fairfax County, where the school curriculum is a full year ahead of Glendale’s, they thought GHS would be a breeze. Wrong. They both have struggled mightily at times with the workload. Much is made about the ethnic Balkanization at GHS. But that, too, is exaggerated. In the big center courtyard during breaks, it’s true that many kids tend to cluster with their cultural groups – the Mexicans over here, the Armenians over there, the Anglos over that way, etc. But teenagers tend to form cliques no matter where they go to school. In my high school in the ‘70s, there was zero ethnic diversity, but we split up into the jocks and stoners and nerds. My son’s circle of friends at GHS included kids with Anglo, Japanese, Iranian, Armenian, Filipino, Indian and Mexican backgrounds. It’s a similar mix with my daughter’s group. To them, ethnicity is no big deal, just another trait like being tall, short, male or female. Having grown up in the Southern California melting pot, our kids thought the white-bread suburban scene in Virginia was a little weird and unnatural. Three years on from that first Open House, our son is a proud graduate of GHS and starting his sophomore year at a major West Coast university. Our daughter is a senior at GHS, a strong student who has her sights set on UC next year. Despite my initial misgivings about GHS, both of our kids have turned out beautifully. They made good choices, made friends with other good kids, stayed out of trouble, and are well on their ways to college and adulthood. I don’t want to sugarcoat it. Glendale High has problems. It’s woefully underfunded and overcrowded. And at times it seems like it’s being run by airport security guards from the TSA. I am also aware that my change of heart about GHS could be perceived as simply a matter of lowered expectations, of learning to accept what we ended up with and not dwell on what could have been. But I don’t think so. The truth is GHS exceeded expectations because it really is better than people think. F or me, it’s been a lesson in perception vs. reality, and the importance of giving people and institutions a chance to prove themselves. I am not trying to promote Glendale High, or influence other parents’ decisions. We are almost done with our GHS years, so I have no personal stake in how the school fares going forward, or what school choices other parents make. And if not for the turn of events, we might have followed the private schools path as many of our friends did. But we didn’t, and things have turned out fine. That’s my Glendale schools story. What’s yours?